Gift cards are just about the next best thing to cash. You can use them for whatever you want at the store they’re for, so they come in handy when you need them – or just want to splurge! Did you know that apps for your mobile device can actually pay you in gift cards just for using them? It’s true; I’m a user of some of them myself! We’ve covered plenty of money-making apps on Work at Home Adventures, but this post will focus specifically on apps that pay you in gift cards from Amazon, iTunes, Google Play, and more. While these apps won’t necessarily help you pay the bills each month, they certainly can help you afford things you want and need. Use your lunch break or a few minutes after you get home from work to play around with the apps. You may rack up enough points to turn into gift cards in just a couple of weeks! Yes, the popular GPT site has its own app! Using the InboxDollars app, you can do most of what you do on the site to earn money, including taking surveys, shopping online, and completing offers. The app is well-organized and easy-to-use, so it’s a handy partner to the site to help you make money on the go. Join now if you’re not a member yet and get $5 free! InboxDollars pays by check or VISA prepaid cards. Join InboxDollars here or read review. Swagbucks is my favorite rewards site because it gives you so many ways to earn Swagbucks to redeem for PayPal cash and tons of other gift cards. It’s even better now that it’s on mobile and I can earn rewards wherever I go! Even if you shop online with your mobile device, you can visit Swagbucks first to check its cash back offers. Click on them before you shop to earn a percentage of your purchase order back in the form of Swagbucks! There are several gift cards to choose from to please just about any interest, like Walmart, Target, and Visa. The Swagbucks app is only available on Android devices. Join SwagBucks here or read review. MyPoints started out as a reward website back in 1996, but it now also has a rewards app for iOS and Android users. You can earn rewards by taking surveys, watching videos, reading paid e-mails, playing games, and more. Some of its gift card options are Amazon, Starbucks, and Walmart! As a bonus, you can even get a $10 Amazon gift card when you make your first $20 purchase on a MyPoints offer. If you don’t want the Amazon gift card, read this article about ways to trade or sell Amazon gift cards! Join MyPoints here or read review. The popular survey site, Toluna, is on both Google Play and the App Store. You can join the Toluna community to participate in polls and online surveys where you’ll get to share your opinions on various subjects. Toluna gives you points for participating, which you can then redeem for cash or a variety of gift cards, including Redbox, Banana Republic, Overstock, and Groupon. Toluna also has daily sweepstakes that gives you a chance to win cash or prizes! 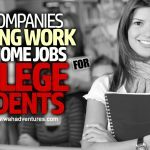 Join Toluna here or read review. Cash Crate is one of the longest-running rewards sites. It’s now getting with the times by offering an app for Android that lets you earn rewards in a variety of ways. The app is much like the website, but gives you a way to earn rewards easily on the go. Take surveys, play games, search the web, and complete offers to earn points that you can redeem for gift cards. You need $20 in your account to cash out, and you’ll be able to redeem your rewards the following month. Currently, Cash Crate’s app is only available for Android. 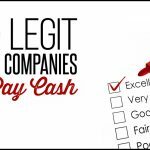 Join Cash Crate here or read review. Ebates is one of my favorite cash back shopping platforms online. I’ve recently started using its app, which is available for both iOS and Android devices, more than its website (which is great, too) because I love how mobile it is. I do a lot of shopping online while I’m out and about as I remember things I need, so this convenient app lets me do that and still get cash back to my account. If you’re not yet an Ebates member, head to the site and sign up for a free $10 to your account! Then, shop online and get cash back for your purchases with partnered retailers. You can redeem your cash for a PayPal gift card, which is the same as cash, or a check. Ebates also has a great referral program that pays up to $25 per referral! Join Ebates here or read review. Points2Shop is an iOS and Android app that pays you to play games, search the web, complete offers, and more. The app lets you complete all the tasks that you would on the website conveniently through the app wherever you go. You can earn 250 points (the equivalent of $2.50) just for signing up with Points2Shop! Join Points2Shop here or read review. iPoll lets you take surveys and complete tasks whenever you’re out and about using your iOS or Android device. iPoll will even use your current location to find location-specific tasks and surveys. 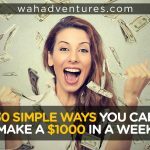 You can gain entries into the $10,000 quarterly prize draw and save up your rewards for iTunes, Amazon, or PayPal gift cards. Join iPoll here or read review. Ipsos i-Say has been one of the most popular survey websites for years, and it now has a mobile app for iOS and Android. You can check in on your account and earnings and take more surveys conveniently through the app – so now you can earn anywhere! One of the best things about Ipsos is it gives more rewards to loyal members who remain active. The more you use it, the more you can earn. Ipsos offers both prizes and gift cards as reward options. You’ll need 500 points in your account before you can redeem points. Join Ipsos here or read review. Ibotta is absolutely one of my favorite apps of all time because it helps me save on my groceries, which is one of my family’s biggest expenses each month. Not only can you save money on your purchases, but you can also make money by completing bonuses! It’s so easy to make money with Ibotta, especially when you team up with your friends. You and your team can earn money together and qualify for more bonuses when you meet specific goals each month. You only need $20 in your Ibotta account to redeem it for PayPal cash or your choice of gift cards. Download Ibotta on the App Store or Google Play. If you’re a new member, you can get a free $10 just for signing up! Join Ibotta here or read review. App Nana is an app that pays you to download other apps! When you download and use another app via the link on App Nana, you’ll earn Nanas, or points, that you can redeem for gift cards to places like Amazon and Xbox. You’ll see how much you can earn for each task before you do it, so you can pick the ones you want to do most. I suggest also signing up for the referral program if you’re going to use it. People with large audiences on social media tend to do really well with the program, with some of them making up to $300 or more from referrals alone, according to the App Nana website. AppNana is available for Android and iOS devices. What better way to earn gift cards through an app than by simply watching trailers of new apps? That’s how you can earn with App Trailers. Earn points by watching trailers of apps and even more points for downloading and using them. Most trailers are about 30 seconds long, so it’s not like you’ll waste your days away on the app. App Trailers offers gift cards to Sephora, Amazon, iTunes, and more. AppLike is an app discovery app that gives you points when you find, download and use new apps. Most of the apps here are games, so it’s a fun way to find new stuff to play on your mobile device and get paid for it. As you play games longer, you can earn even more with bonuses. Just remember to sign onto AppLike first to get credited for playing. This app rewards you with various gift cards to things like Spotify and Amazon! You can download AppLike on Google Play. Bing Rewards is one of the best ways to monetize your use of the web, simply by searching the web using Bing or downloading apps from the Microsoft store. But, Bing has also gone mobile with its iOS and Android app so you can earn on the go! Use it the same way as you would on your computer by searching the web through the app. You’ll earn points for each search, which you can redeem for gift cards! CheckPoints is similar to other rewards apps that give you the option of gift cards as rewards. You can take quizzes, watch videos, search the web, complete paid offers, and do other tasks with the app to earn rewards. Gift card options include Amazon, Target, Walmart, and more. CoSign is like the affiliate marketer of apps. If you upload a lot of photos of specific products to social media – like electronics or clothing, for example – CoSign can make you money every time a follower makes a purchase of the items you showcase! It works a lot like affiliate links for bloggers. You tag the products in your photos and CoSign will link them to the appropriate product page. You make money off the sales! As a bonus, you don’t even need to enlist your friends to purchase. You make money off ANY follower who purchases from your image (so now would be a good time to learn all about those Instagram and Twitter hashtags!). You can track all of your clicks and earnings through the app, which is currently only available for iOS. You’ll need $40 in your account to trade in for rewards, which include gift cards or PayPal cash. The FeaturePoints app helps you learn about new apps you might like to use on your iOS or Android device. You can earn points just for downloading partnered apps, but you’ll earn even more if you try them out for a bit. This app rewards you with a variety of gift cards to places like Amazon, PayPal, and Xbox, or you can choose to use your points to get paid games for free! The referral program here is great, so be sure to invite your friends. You’ll earn 50% of everything they earn after signing up using your code. 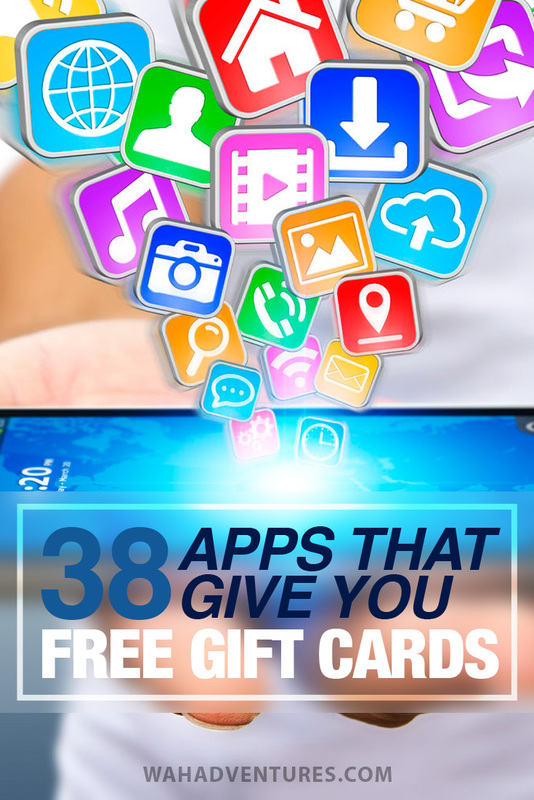 Here’s an app that will reward you with gift cards for downloading other apps! FreeMyApps partners with other sponsored apps and acts as an advertising platform. So, when you download a sponsor’s app, FreeMyApps rewards you with a set number of points. There are over 50 types of gift cards to choose from when you redeem your points, so you have plenty of options! You can also earn more points by referring your friends to use the app, entering contests, and completing other offers on the web. Fronto keeps all the stuff you love, like news, shopping deals, and fun apps, at the front of your phone and pays you to check them out. If you find something you want to look at more, you can swipe left and engage with it. If not, just unlock your phone as usual. You can still get paid even when you don’t engage with anything! You earn points for anything you do, whether you decide to continue with unlocking your phone or you check out something new. Earn more if you decide to download an app or shop with one of the advertised deals. Basically, Fronto turns your phone into a money-making machine without even needing to unlock it. Fronto offers PayPal cash and Amazon gift cards and is available on both the App Store and Google Play. Gift Wallet is an app for Android and iOS. It works a lot like similar reward apps by paying you to complete simple tasks through the app. You can even earn points by sharing the app to your social media accounts and referring new users. Gift Wallet offers Amazon, iTunes, and Google Play gift cards as rewards. Since Google Opinion Rewards is a Google app, it’s only available on devices that have Google Play installed. I have an Android phone and I love using this app! It pays out only in Google Play credit, which is great if you like making in-app purchases or buy music or movies through Google Play. It also has some of the highest payouts for the quickest surveys you’ll probably ever take. Most surveys I take here are up to 4 questions at the most and pay at least $0.10. However, I’ve had some ask about 8 questions and pay $1.00 or more! I usually get three or four a week to make an easy $5 or more every month. JunoWallet is your basic reward app, but people seem to love it. Inviting friends is one of the best ways to earn rewards since it has different levels of referrals. The more you refer, the more you can make (especially if your friends end up using the app a lot, too!). You can also take surveys, make calls through the app, play games, and watch videos to earn extra rewards. JunoWallet also has a raffle feature where you can spend your points to earn entries into giveaways for prizes like gaming consoles or laptops. Your points are known as JunoCredits, and you can turn them in for gift cards to Fandago, Lowe’s, Google Play, Steam Wallet, and tons more. The app is currently only available for Android. Lucktastic is like a virtual scratch-off ticket. Download the app and you’ll get free tickets to play every day. Use your tickets to try to win huge cash prizes, like $5,000, $10,000 or more! If you win anything between $1 and $100, you can redeem it with a Dwolla account. The best thing about this app is that, even if you don’t win a cash prize, you still earn points every time you play. Those points can later be redeemed for gift cards to Amazon, Restaurant.com, and more. Are you interested in mystery shopping? If so, Mobee is the app to download. You can earn gift cards just by visiting stores and reporting your feedback via the app. As long as you complete your tasks correctly by adhering to instructions, you’ll get your rewards in less than 24 hours in most cases. Mobee offers cash and prizes as rewards, in addition to gift card options. Panel focuses much of its rewards for users from taking surveys, but you can also complete offers and refer friends. You can even make 10% off anything your referred friends earn! Use your points to enter sweepstakes or redeem them for a variety of gift cards. Panel is available for both iOS and Android. There are several ways to earn points with Perk, and it’s quickly become one of the most popular reward-earning apps. Watch TV, shop, play games, complete promotions, search the web, and more to earn points. Perk has an extensive collection of gift cards to choose from, like eBay, Amazon, and iTunes, or you can convert your points to the Perk Plastik card if you’d rather have the cash. Perk is available for Android and iOS devices. PocketFlip has several gift cards as rewards, including Amazon, Steam, and Google Play. It’s basically a GPT site, like InboxDollars or Swagbucks, in a fun app that pays you to do a variety of tasks. Some of the money-making tasks on the app include downloading other apps or taking photos of your grocery receipts. Everything you make gets delivered in “coins,” which you can then turn in for your choice of gift card. PocketFlip occasionally runs giveaways, too, that can give members even more coins and gift cards! PocketFlip is available on the App Store and Google Play. This app partners with various other survey sites, so you’ll almost always have new surveys to take if that’s your favorite way to earn. Don’t forget about referring your friends too, which will not only give you points, but will also give you 10% of everything they earn! You can choose to use the website or download the app for your iOS or Android device. There are a lot of gift cards to choose from, including PlayStation, Bitcoin, Netflix, Amazon, and Steam. Receipt Hog makes earning gift cards as simple as scanning your receipts using your smartphone. Your receipts are used for market research to find out what consumers like you are buying and spending. You can also play slots and take surveys to earn more points. The app recently added a feature that lets you connect your Amazon account to it so it can learn what you buy on Amazon. You earn extra bonus coins, survey offers, and tickets for sweepstakes as long as you keep it connected. Receipt Hog offers Amazon gift cards, magazine subscriptions, and PayPal cash as redemption offers. Receipt Hog isn’t always accepting new users, but you can always download the app for iOS or Android and wait your turn in line. It will send you an e-mail notification when it’s opening up its enrollment. Similar to Receipt Hog, this app pays you to upload your store receipts using the camera function on the app. Receipt Pal has weekly challenges you can complete to get bonus points, plus weekly sweepstakes that help you earn great prizes or cash. The app may take a couple of days to validate your receipts, but once it does, you’ll see your earnings in your account. You can even upload your receipts from your bills, like your cell phone and utility payments! Use your points for gift cards or entries into the sweepstakes. Receipt Pal is available for both iOS and Android devices. You may already see the coupon booklets by SavingStar that come in the mail or newspaper. They feature valuable coupons on several products that you can use at your favorite stores to save money shopping. Well, think of this app like your mobile coupon helper, giving you access to SavingStar coupons straight from your mobile device. No more printing coupons and losing them or sifting through them at the store. Just pull up the app and start saving. 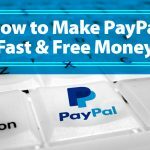 Once you have $20 in your account, you can withdraw via PayPal. SavingStar is available on the App Store and Google Play. Shopkick partners with certain stores to let its users earn rewards by taking photos of in-store displays, scanning barcodes for price checks, and more. But, you can also earn points by interacting with the app. Watch videos from advertisers, check out new recipes, scan your receipts, and make qualifying purchases to earn more points. You can redeem them for gift cards to Best Buy, Target, and more, or enter contests for a chance to win awesome prizes. When you invite your friends, you can earn more points every time they do! Shoptracker is an app that comes from Harris Poll Online, a popular survey site. This app doesn’t always accept new registrations because it’s semi-exclusive and only opens up membership when it needs new members. You can also sometimes join quicker if you get invited by someone referring you. However, I’ve included the link above so that you can check back occasionally to see if you’re able to join. This app runs in the background of your device and keeps track of your online shopping information but doesn’t store any of your personal data like financial information or contact information. It collects this data to get an idea of what people tend to purchase online for market research purposes. You’ll get a chance to earn gift cards or cash just by participating and keeping the app installed. This app is currently only available as a browser add-on. There are a lot of apps like Slidejoy, but this seems to be the most popular (and legit!) way to earn gift cards. Slidejoy partners with advertisers to bring great promotions to your smartphone. Every time you check your phone, you’ll see a promotion, known as a “card”. Slide left to learn more about the card, slide up to see a different one, or slide right to go to your home screen. Eventually, the app will learn your preferences based on swipes and will tailor its content to your interests. You get paid regardless of how you swipe, simply because you saw the card. Cash out with PayPal or choose a gift card. Slidejoy also gives you the option of donating your rewards to charity! This app is available for Android devices only. Swag IQ is an app made by the same people that make Swagbucks. In fact, the app hooks up to your Swagbucks account, so anything you make with it goes straight to your account and adds up to your balance of SBs! Therefore, you can keep earning SBs using Swag IQ and redeem them for whatever gift cards you want. Swag IQ is a live trivia game where you can play against other members in real-time. Each game is 10 questions long. If you get one question wrong, you’ll have another chance to play if you decide to use your SBs for another shot. If you get another one wrong after that, you’re not eligible for the grand prize, but you can still keep playing to earn a few SBs per question. Make it to the end and you’ll split the pot with whoever else did too! Some prizes can be huge – like 600 SBs or more! – depending on how many players get to the end. The app is available on both Android and iOS devices. Suprize is a very different type of app than you’ve used before, most likely. It’s a game that lets you win fun prizes, and gift cards to your favorite places could be one of the prizes (although it also gives away clothing, cash, electronics, and more!). Every so often, the app will have a countdown. At the beginning of the countdown, you’ll see instructions that tell you what to do to win a prize. When the timer runs out, you’ll need to complete whatever task you were told. Whoever does it the fastest gets surprised with a prize! The cool thing is that you’ll know immediately if you win. There’s no waiting to find out who the winner of each game was. You can also participate any time a new game starts! This app is currently only available on Apple devices. TopCashback is similar to Ebates that helps you get cash back for shopping online. If you ever shop using your mobile device, it might help you to download this app and use it before you shop with an online retailer. The app shows you your account information, which includes everything you’ve earned from your shopping trips. TopCashback offers PayPal cash or direct deposit for your rewards and is available for iOS and Android devices. Did you ever think you could get paid to watch TV? That’s a dream come true, right? Well, it’s reality with Viggle! This app operates with advertisers who create ads for you to watch through the app as you watch your favorite shows. You just have to “check in” to your favorite shows or movies – they can be live or streaming – and every few minutes, you’ll need to interact with the app to show that you’re still watching to collect your points. Sometimes, networks will promote certain shows through Viggle and you’ll earn more points for watching them. You may even discover a new show you love! You can also participate in Quests and Streaks to earn more points. Redeem your points for one of over 800 gift cards, or convert them to cash with the Perk Plastik card. Viggle is available for iOS and Android. 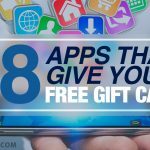 It’s important for me to note that there are a lot of scam apps out there that claim you can download apps for free gift cards or earn cash by using them. Be smart and check reviews before you download and start using reward apps. Most users are very honest when they review apps on the App Store or Google Play and will let others know if the app does what it promises. 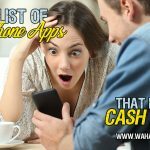 The apps I mentioned here are ones that have had a proven track record for actually paying their users. But, remember, these should only be used as a fill-in for some extra money, not as a full-time job (if you treat them that way, you’ll be disappointed!). Test several out and keep two or three that you really enjoy. You’ll overwhelm yourself and find all your time going to your apps if you try to juggle them all. Plus, think about how much more you can earn if you spend your time focusing on just a few and maximizing your earnings there instead of spreading your time among several. What apps do you love that give you gift card rewards? Best Way to Sell Gift Cards for Cash Instantly at a Gift Card Kiosk! There are two more apps that I suggest you use. They have a nice variety of rewards and pay in time! This is an awesome list! I have used inboxdollars and ebates before but want to try some of the others like ipsos and gift wallet! This list will definitely keep me busy for awhile, thanks! Perk gives you the option to sign up via email or your Facebook account, however, even if you sign up using your email, when you go to sign in, they REQUIRE you to give them your Facebook sign in and Facebook password.